A song that is not properly mixed can be treacherous on a someones ears. A hit song not only needs a solid performance, strong lead vocal, catchy hook, and creative songwriting, it also needs to be mixed well. All the tracks should be leveled correctly, EQ should be applied correctly, and just the right amount of effects should be used. 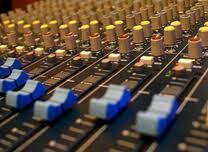 If a song is not mixed correctly, a fan will be able to pick the problem out instantly. Some common problems with bad mixes can be that the lead vocal is either too loud or too quiet, the drums have too much bass, the treble overall is too high, and so on. If you are not solid at mixing yet, then practice. Listen to songs that you like the overall mix, try and copy the way they mixed it. Play around with EQ on everything from drums to vocals. Practice using compression on vocals and drums. Make several mixes on a CD and play them back in your car. See what sounds best. Play it back on other things such as your computer speakers, home stereo, or TV speakers. See if everything sounds balanced. Make sure there is not too much bass. This is very important. Practice makes perfect.